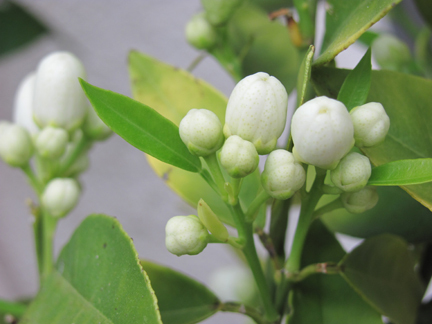 The orange blossoms popped today! I wish there was some way to transport the fragrance via the internet!…(Hmmmm….I bet that technology isn’t too far off!) 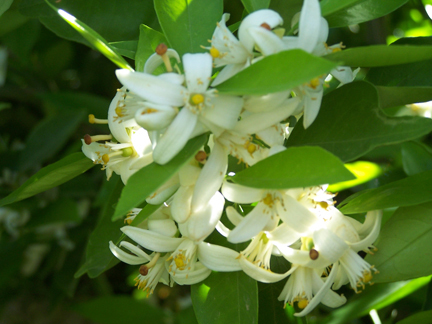 Anyway….Imagine the most delicate, sweet and potent fragrance wafting about, as you sit on the porch, watching the spring sunset and sipping sangria. It’s that time of year! 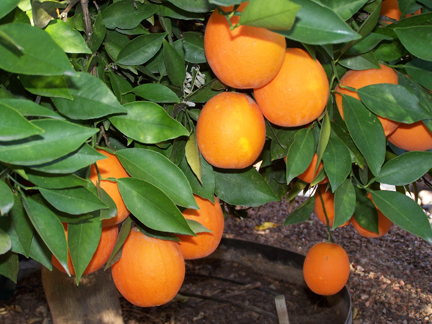 Oranges to come in February. So we have about 2 weeks of heavenly scents, then another 10-11 months before the heavenly crop. This is how they look today…. This is how they will look in a few days…. I can’t even tell you how Todd has babied these trees for 6 years. It’ been well worth it! Totally Orange-gasmic!